The very real fact is that Canada is a wonderful place to travel for Americans and for people from other countries. It is a large country with a diverse landscape and a diverse populous. Every time you think you have seen it all, you find more to explore. 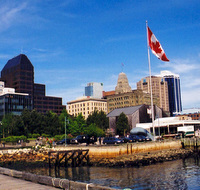 Take the examples of New Brunswick and Nova Scotia. These eastern seaboard provinces are largely unknown to most travelers but both offer wonderful scenery and charm. You can get a very brief taste of them and decide for yourself whether they are places you’d like to return to someday by going on a 5-night cruise from New York. The Carnival Victory will shepherd you to Saint John and Halifax before returning you back to the Big Apple.